ICPVTR provides world-class education and training in counter-terrorism for serving and future leaders. The Centre also has attachment programmes forserving officers from law enforcement agencies worldwide. ICPVTR started its off-shore counter terrorism capacity-building initiative in 2005. The Centre assisted in the establishment and initial operation of the Centre for Conflict and Peace Studies (CAPS) in Kabul, Afghanistan. Based in Kabul, Afghanistan, the Centre for Conflict and Peace Studies (CAPS) is an independent research centre that conducts action-oriented research. The research conducted by this centre aims at influencing policy-makers in key areas such as state building, governance, narcotics, conflict resolution and peace building. With a primary focus on Afghanistan and the surrounding region, CAPS works towards building local capacity to produce conflict and threat assessments. The local experts at CAPS track and store data on crucial developments in Afghanistan and the region. 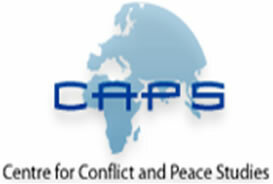 CAPS is committed to offering and facilitating first rate research, training and knowledge exchange on conflicts, people and cultures, as well as violent groups in Afghanistan and the region. PIPS is an Islamabad based non-governmental think-tank, committed to conducting independent research on peace, security and counter-terrorism. Founded by a group of renowned counter-terrorism experts and journalists in January 2006, PIPS seeks to undertake policy-oriented studies on regional and domestic conflicts focusing on terrorism, political violence, economic and strategic developments in the region. PIPS aims to provide expert input, build a knowledge base and influence policy makers on strategy and security related issues. To create a community of professional researchers and analysts and enhance their skills, the institute also offers training workshops, seminars and short-term as well as long-term courses. The PIPVTR is an independent, non-stock and non-profit research organization officially registered at the Securities and Exchange Commission (SEC) on November 29, 2007. It was first conceptualized in September 2005 by a group of experts, academics and practitioners who envisioned the need to establish a center in the Philippines dedicated to the study of political violence and terrorism. 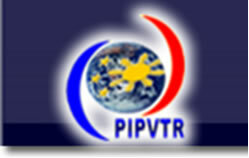 The PIPVTR was officially launched on March 6, 2008 at the Hotel Intercontinental Manila by Executive Secretary Eduardo Ermita, the Chairman of the Philippine Anti-Terrorism Council. Bangaldesh Centre for Terrorism Research (BCTR) is a part of the Bangladesh Institute of Peace and Security Studies (BIPSS). Launched on 15 March 2008, it is a unique research centre dedicated to study and research on terrorism with an aim of reducing the threat of terrorism and violent extremism and minimizing its impact on society. The Centre’s mission is to study the goals, tactics, resources and strategies of terrorism and analyzing terrorist threats and risks and develop response to them. It is functioning as a specialized centre within the framework of BIPSS. The first centre of its kind in Bangladesh, BCTR is headed by Major General Muniruzzaman, ndc, psc (Retd). BCTR’s activities will contribute to the fields of peace and security by enhancing the understanding of terrorism and finding ways and means to effectively counter it.